Espoo, Finland:- Leading European research-based life sciences manufacturer Orion Corporation and powders specialist laboratory Particle Analytical discovered the power of CPhI to bring companies closer together at the recent Worldwide event. Despite a collaboration dating back 13 years, the two companies key persons were able to meet face to face at October’s landmark CPhI Worldwide pharma industry show in Madrid, where Orion’s stand at Booth 6H30 in Hall 6 of the IFEMA expo center provided a comprehensive showcase of its many services and products for the pharmaceutical industry. Particle Analytical founder and CEO Søren Lund Kristensen was able to have a sit down meeting with Orion Contract Manufacturing Head Esa Nauska and Business Manager Maria Moukola. “Part of the success of CPhI 2015 for us was being able to meet long time partners like Søren to discuss ways in which we can work more closely together,” commented Mr. Nauska. “Orion has been working with Particle Analytical and Søren in particular for 13 years now without ever having a sit down meeting,” he said. “In Madrid, we were finally able to put that right with a great discussion that raised some very interesting possibilities for the future,” said Esa Nauska. Mr. Kristensen was also very happy with the meetings. “Over the years, Orion and Particle Analytical have built up great mutual respect. Meetings like this enable Orion to integrate our specialist particle expertise more closely into their business model,” he commented. “We have been working with Orion’s laboratory in fine-tuning powder compositions and other services for 13 years now. This meeting with Esa and Maria has helped us make further contacts with Orion that could well lead to further collaboration, with mutual benefits,” said Søren. 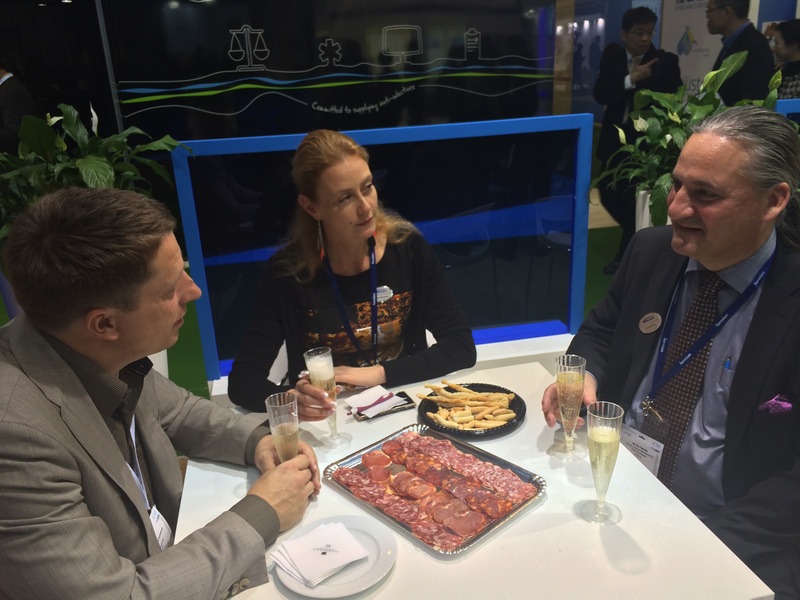 “CPhI is one of the most important networking events for Orion, not only to gain new clients but also to maintain great relationships with current clients and collaborators. 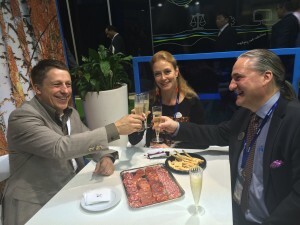 This year CPhI has been a huge success for us and we are really looking forward to Barcelona next year,” added Esa. Particle Analytical ApS is a contract laboratory (CRO) that specializes in analysis of physical parameters of particles, powders or emulsions, using a range of advanced techniques. Founded in year 2000, the laboratory has become one of Denmark’s most rapidly expanding companies, twice winning the national ‘Growth Gazelle’ award. 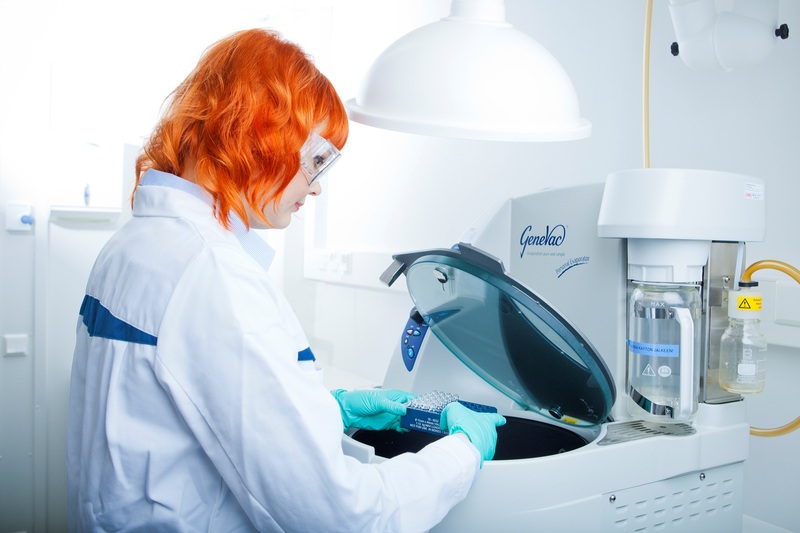 It is one of the few laboratories in Europe to offer a complete range of services dedicated to analysis of powders, including particle size, and all physical chemical properties. These services are primarily focused on the pharmaceutical industry, where particle and powder analysis are essential in controlling compound properties during development, both with regard to production process and behavior in vivo. Unique analysis services include determination of refraction index, fast compatibility screenings of excipients and determination of the crystalline proportions of samples. Particle Analytical’s leading-edge capabilities include laser diffraction, XRD, thermal analysis, dynamic light scattering, microscopy, BET, dynamic vapor sorption, density measurement and air permeability. The laboratory is fully certificated as cGMP compliant by the Danish authorities and is also registered with the US Food & Drug Administration (FDA). Particle Analytical services can either be used in routine analysis, separately to solve specific problems, or in parallel to larger drug development programs. These services include particle size determination, examination of physical properties, polymorph screening, method development and validation. Click on Orion and Particle Analytical confirm power of CPhI Madrid for more information. Click on Particle Analytical for more information.